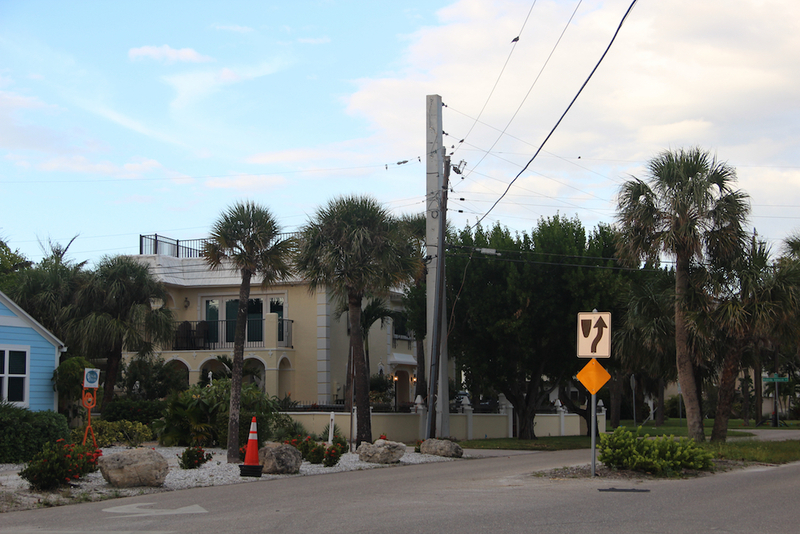 During the Oct. 4 SKA meeting, President Gene Kusekoski reported that “a more aesthetically inclined member” of the organization had notified him that Florida Power & Light Co. (FPL) has installed a new concrete utility pole near the intersection of Columbus Boulevard and Avenida Veneccia. The member called it “out of place” in the island landscape and questioned the need for it, Kusekoski added. An FPL representative told Kusekoski, he continued, that the new pole was necessary for two reasons: better hurricane resistance and to upgrade the power system in that part of the Key. “And, hence, you have the big chunky cement pole,” Kusekoski told the SKA audience. The FPL representative did suggest to Kusekoski that if members of that neighborhood on the Key wanted to “personally pay to get lines buried underground, [FPL] would be happy to do that.” The FPL rep cautioned, though, that the wait for the work probably would be a long one, Kusekoski indicated. “Maybe we can get an artist to decorate the chunky poles,” he added.